The Lithuanians, or Lietuva, were (and are) a native Eastern Baltic people, not Slavic like their neighbours to the east and south. 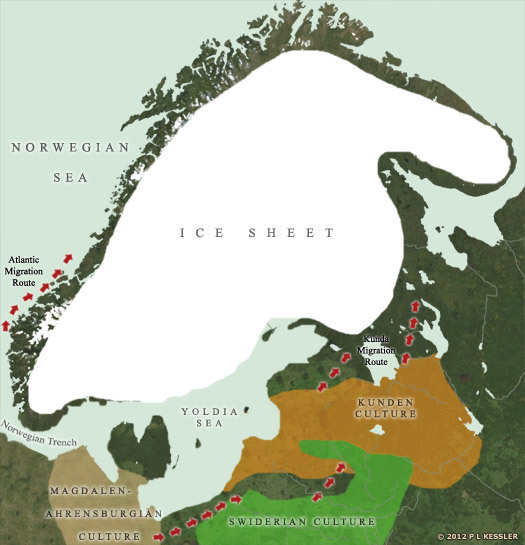 Baltic people have lived around the shores of Mare Suebicum, the Baltic Sea, and as far east as Moscow for several thousand years, arriving as Indo-European proto-Baltic peoples around 3000-2500 BC. They initially formed part of a general westwards migration of Indo-Europeans until splitting off around that time. They further divided from the closely-related Slavic group around 2500 BC and went on to form the ancestors of the Latvians, Lithuanians and Old Prussians. Late to unite into kingdoms and nations, they did so in the face of outside pressure. 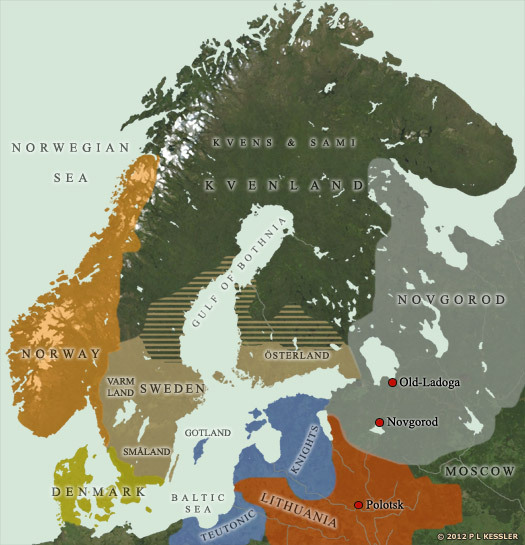 Various Baltic tribes could be distinguished by the tenth century AD. Presumably these had formed some time previously, probably centuries beforehand, as the Balts seemed to be relatively settled peoples. These tribes included the obscure Aukštaids, the 'highlanders', and the dominant Lithuanians. Combined with the Samogitians and some Prussians, these were the elements which went into forming the early Lithuanian state. Today only the Lettish and Lithuanian languages survive. 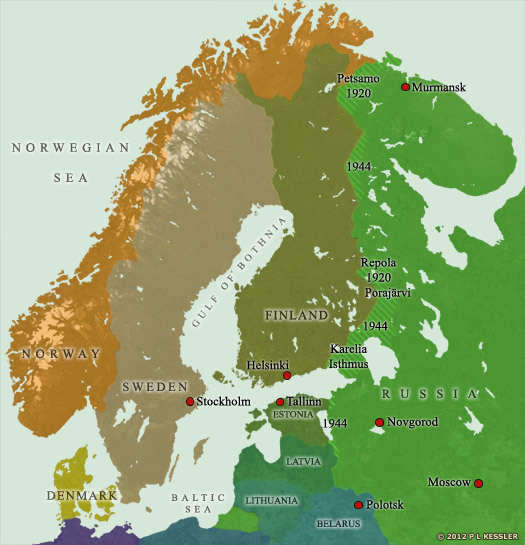 Other eastern Baltic languages or dialects became extinct in the proto-historic or early historic period and are not preserved in written sources, while those that survived were gradually Lettonised or Lithuanised between 1400 and 1600. Located in the heartland of the country they created, close to the later city of Vilnius, the Lithuanians under Mindaugas united the neighbouring tribes into a single entity which could fight off repeated incursions by the Teutonic Knights, who bordered them to the west and south. To the north, the Samogitians and Semigallians formed a buffer, first between the Lithuanians and the Lats, and Ests, and then against the Livonian Knights. Under subsequent rulers, the Lithuanians vastly extended the size of their state to the east and south, as Mongol power dwindled. They quickly took what is now Belarus, followed by Polotsk, Vitebsk, and Volynia, before extending to the north coast of the Black Sea, and east to Smolensk. Lithuanian rulers held the title of 'kunigaikshtis', which can translate equally into 'duke' or 'king'. Later, however, the word 'karalius' was used to specifically denote a king. This is based on a Slavic derivative of 'Carolus', better known as Charles the Great or Charlemagne (the German/Russian use of Kaiser/Czar descends in much the same way from 'Caesar'). Even though their state was considered to be a grand duchy by Europe in general, the Lithuanian rulers always referred to themselves as kings. Some of their names have varied spellings, thanks to their being recorded by different authors in different languages. The glacial ice sheet retreats from the territory that will later form southern and north-eastern Lithuania. The retreat is slow but constant, so that Lithuania is entirely free of the ice sheet by about 10,500 BC. 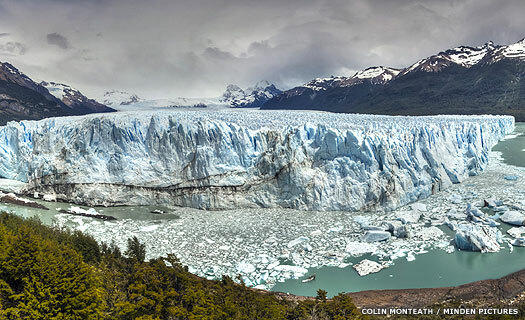 Lakes and valleys have been formed by the melt water, and the landscape is littered with heaps of gravel and sand-layered hills which have been pushed up by the glacier, along with boulders from the Scandinavian mountain ridges. Areas of coastal Lithuania remain under the waters of the Baltic ice lake (the Yoldia Sea, the modern Baltic Sea), and a severe sub-Arctic climate prevails, making the spread of the first lichen, dwarf birch, and dwarf willow a slow process. The first hunters probably arrive within a millennium, following the last of the mammoths. By this date, Estonia, Finland, Latvia, Lithuania, and Prussia are settled by pre-Baltic hunter-gather tribes which all share the same cultural traces. They belong to two groups, one being the regionally-dominant Baltic Kunda culture, which is a development of the earlier Swiderian culture located to the south. The other is the Magdalen-Ahrensburg culture located in north-western Germany and Denmark, which probably enriches the Kunda culture. The arrival in Poland of the Gothic people in the first and second centuries AD has a great impact on the Baltic population there, resulting in them moving towards eastern Lithuania. In all probability, due to the ethnic affinity of these peoples, peaceful relations are established. The appearance of various new groups of pottery, part of the Willenberg culture, testifies to the further merging of these ethnic groupings. Far from remaining settled where they are in Poland, the Goths gradually renew their migration, now moving slowly southwards from the Oder and Vistula, heading on a path that will eventually take them into Ukraine. The migration could be caused by pressure from the Baltic tribes, early segments of the later Old Prussians and Lithuanians who are expanding back into territory they had lost to the Germanic tribes in the first century AD. The Moshchiny culture is the archaeological expression of the Eastern Galindians. By AD 400, the heavy traffic between the Balts and the Finno-Ugrians, which had reached its peak in the fourth century, is cut off. Some hill top villages and hill forts in the Baltic area become deserted; some show levels of destruction caused by fire. Those villages whose remains show continued habitation also show a marked degradation in material culture. This is the indirect proof of the disaster that befalls the eastern Baltic tribes, and an indication that the 'new wave of invaders' in Lithuania have ventured further east than that and have done far more damage. Prior to 1203, a semi-legendary 'Grand Principality of Lithuania' is supposed to exist, ruled by a single grand prince. In reality, the Lithuanians are not quite that united, with several dukes and princes presiding over various tribes and vassals, many of whom are loosely united by bonds of pagan religion, kinship, and trade. It is possible that this bonding process had begun when the region suffered Mongol incursions, but it is the arrival of German crusaders in the territory of the Lats and the Prussians which really sparks the process of unification amongst the Lithuanians. The hierarchical structure of Baltic chieftainship is illustrated by the Chronicle of Volynia, which relates how twenty-one Lithuanian dukes come to sign a treaty between Lithuania and the Rus of Halych-Volynia. Of these, five - the most powerful amongst their number - are 'grand dukes', while the other sixteen are dukes of minor importance. From this it may be deduced that Lithuania is now ruled by a confederation of the most powerful chieftains. It is quite possible that such a system of government is also in existence in the other Baltic states and has been for some time. Mindaugas is mentioned as an elder duke when he attends the treaty signing. His father is mentioned in the Livonian Rhymed Chronicle as an unnamed powerful duke (later sources name him as Ringaudas). Brother? United Lithuanian tribes and became first grand duke. As soon as the Germans had began building their castles along the River Nemunas, they had met well-organised resistance from the Lithuanians. Following the shock defeat of the Order of the Knights by the Samogitian and Semigallian tribes at the Battle of Schaulen (Saule or Šiauliai), Mindaugas is able to consolidate his control of Lithuania, creating a grand duchy. In 1236 the Samogitians and Semigallians (situated between the Lithuanians and the Lats in what is now southern Latvia) decimated the Livonian Knights at the Battle of Schaulen (Saule or Šiauliai), in what was the north-west of the Lithuanian tribal territories. At the same time, Mindaugas, who may have ruled for perhaps a year beforehand, was able consolidate his control of the eastern Lithuanian and southern Black-Rus (modern northern Belarus) territories, forming the grand duchy of Lithuania and Ruthenia, with a capital based at Navahradak. The state quickly came to consist of all the Lithuanian lands located mainly in the basin of the River Nemunas, taking in the tribes of Upyte, Deltuva, Neris, Dainava, Nalšia, plus Melnkrievija in the south, and the Samogitians (Zhemaits) in the west. Mindaugas' power was also acknowledged to a certain extent by the Skalvs, and Nadruvians, and elements of the Yotvingians, almost all Prussian tribes in the west and south, and the Sels in the north-eastern corner of Lithuania, with the result that the lands by the Upper Nemunas with their mixed Balto-Slavic population became part of the new Lithuanian state. The central power in Eastern Europe was now the growing Lithuanian state. It began its very rapid expansion to the east and south through Russian and Ukrainian lands. Between 1200-1263, Lithuanians fell upon Russians a total of seventy-five times. Mindaugas makes the powerful Samogitians his vassals. Local rulers are allowed to remain in charge, especially as Lithuania's southern borders soon come under attack by the White Horde forces of Orda Khan as part of the general Mongol attack on Poland. The principality of Polotsk becomes a Lithuanian vassal state. Mindaugas places the Samogitian ruler, Tautvila, in command of the principality. Mindaugas faces a stern test when conflict arises between him and the Galicia-Volynian Prince Daniil when the latter, along with the political powers in Livonia, and elements of the Samogitians (Zhemaits) and Yotvingians (who border the Old Prussians) who have been subdued by Mindaugas now rise against him. The conflict threatens to destroy the new state. With a mixture of politics and promises, Mindaugas wins over the Livonian Knights, and converts to Christianity in 1251. As the final stage of subduing the rebellion against him, Mindaugas is crowned king of Lithuania, using a crown sent to him by the Pope (thereby officially recognising the Lithuanian state). He transfers part of the Samogitian territories to the Livonian Knights as a means of ensuring peace. The protection of the kingdom is maintained by Mindaugas from the legendary wooden castle of Voruta, one of a series of wooden castles which appear in Lithuania but which do not survive to the present day, with only hill forts remaining. At the end of a two year truce, the eager Samogitians inflict a defeat on the Livonian Knights at the Battle of Skuodas under the leadership of Treniota, nephew of Mindaugas. Their success encourages the Semigallians to rebel against the rule of the Knights. The Samogitians inflict a severe defeat on a joint army of Livonian Knights and Teutonic Knights at the Battle of Durbe in 1260 (now in south-western Latvia). Mindaugas is encouraged by Treniota to support the resulting rebellions against Teutonic rule, and his nephew organises military campaigns into Livonia until his own position has been strengthened. Then in 1263 he assassinates his uncle, returns the Lithuanians to paganism and takes over their governance. Treniota was the nephew of King Mindaugas and leader of the fierce Samogitian tribe during the defeats which were inflicted on the Livonian Knights. He also encouraged his uncle to give up the Christianity which he had only accepted in order to prevent attacks by the Teutonic Knights, a policy which had failed anyway. When Mindaugas began to question the alliance with his nephew, Treniota assassinated him and two of his sons, with the help of Daumantas, duke of Nalmas in northern Lithuania, and took over the reins of power in Lithuania, albeit only briefly before he was himself deposed by Vaisvilkas. All of this took place in the background of almost thirty years of uprisings against the Germans, with the Great Prussian Uprising doing a great deal to distract attention away from Lithuania. This gave the new grand duchy time to reorganise itself after four ducal assassinations in a row. Lithuanian expansion stalled for a while, until Gediminas came to the throne, but then expanded beyond all recognition. Throughout the fourteenth and early fifteenth centuries, devastating wars between the Germans and Lithuanians continued to be waged along the River Nemunas. Thanks to the clever and energetic leadership of Gediminas and then that of Algirdas and his heroic brother, Kęstutis, who spent all his life fighting against Germans, Lithuania grew into a powerful state instead of succumbing to the German threat. From the thirteenth century on, the central power in Eastern Europe was the growing Lithuanian state. It began its very rapid expansion to the east and south through Russian and Ukrainian lands, in time reaching the Black Sea. On horseback Lithuanians conquered Slavic lands, with Gediminas occupying nearly all of Belarus and north-western Ukraine (Volynia). 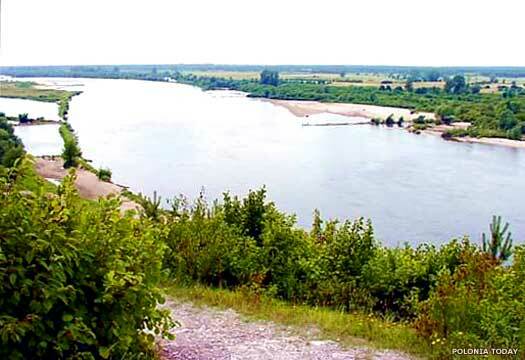 Algirdas defeated the Tartars in 1362 near the Blue Waters in Podolia and took from them almost the entire basin of the Dnieper and Dniester. Later, Vytautas the Great, the most powerful of the rulers of Lithuania, annexed the Donets and Oka basins, surrounding Moscow from the west and south, making this area part of the Lithuanian empire. This expansion was directed toward lands which for the most part had been possessed by Lithuanians and other Eastern Baltic tribes in the prehistoric period. During its peak period (1362-1569), the empire covered 907,000 square kilometres (350,000 square miles. The huge state played an important role in protecting Western Europe, as well as its own lands, from being invaded by the Tartars. Ruthenia was a Latinisation of 'Rus', the Lithuanian-controlled Slavic lands to the south, which now forms parts of Belarus, Russia, and Ukraine, with minor extensions into Poland and Slovakia. Much of it was contained within the weakening state of Galicia-Volhynia. During this period, the peoples within the grand duchy, Couronians (Kurshes), the Lithuanians (of 'Highland' Lithuania), Old Prussians, Samogitians, Sels, Semgals, and Yotvingians, became consolidated as the Lithuanian people. Samogitian ruler. Reverted to paganism. Assassinated. Svarnas, ruler of the powerful Kievan principality of Halych, secures the throne through his marriage to one of the daughters of Mindaugas. Svarnas' brother, Lev I of Halych, assassinates Vaisvilkas just to ensure that he is not challenged but also in revenge for not being handed a division of the Lithuanian lands. The estate of Duke Skomantas of the Yotvingians is devastated. Skomantas is forced to flee to Black Ruthenia with three sons: Galms, Gedetes, and Rukals. Black Ruthenia is under Lithuanian control at this time, so he is relatively safe there. He soon returns, though, accepts baptism into the Roman Catholic church, and acknowledges the superiority of the Teutonic Knights. Traidenis has managed to restore a level of stability to the state, reunifying the territories which form Lithuania and pushing back the rulers of Volynia who were threatening to take over, but his death leaves some doubt about the succession, especially in the minds of later scholars, owing to a lack of chronicling for the period. The same as Daumantas of Pskov? The Teutonic Knights continue to advance north through Prussia, and having conquered the lands of the Skalvs and part of that of the Yotvingians, they drive the Nadruvians to the River Nemunas in 1283, right on the border with Lithuania. The population of these areas is killed off, with only a few managing to escape across the border. First certain member of the Gediminid dynasty. The brother of Gediminas, Vainius, secures the rule of the principality of Polotsk from the archbishopric of Riga. Successive Lithuanian rulers in Polotsk help in fending off attacks by the Livonian Knights. Gediminas transfers the Lithuanian capital to Vilnius. During his reign he also expands Lithuanian control over the Bela-Rus in the south, Vitebsk in the east, and Volynia in the south-east. The Golden Horde Mongols begin to perceive the growing power of the Lithuanians as a direct threat to their hegemony over the Rus. As a result, the Muscovites are soon granted extra powers to counter this threat. Lithuania defeats the boyars of the Rus and occupies Kiev and its surrounding territory. The loss of this vassal state by the Golden Horde removes not only it from their control, but also cuts off Wallachia whose ruler, Basarab I, effectively becomes independent, although this has increasingly been the case for several years. Duke of the Lithuanians. Died at Pilėnai? During the protracted wars between the Germans and Lithuanians, the annalists who described the gruesome fights and sieges in Lithuania often express shocked surprise at seeing how readily the Lithuanians take their own lives. The most horrifying incident occurs in this year at the castle of Pilėnai on the River Nemunas. When the Lithuanians perceive that they can no longer hold out against the German onslaught, they kindle a huge fire, throw all their possessions and treasures into it, kill their wives and children, and then offer up their necks to their chief, the duke, Margiris, for decapitation. An old woman also uses an axe to decapitate a hundred men who voluntarily accept death at her hands. When the enemy break in, she splits in two her own head with the same axe. Algirdas expands Lithuanian territory further eastwards, bringing it into conflict with the grand duchy of Moscow, initially under Grand Prince Simeon, who has been granted extra powers by his overlord, Ozbeg Khan of the Golden Horde specifically to counter the Lithuanian threat. In 1342 Algirdas' son, Andrei, is made prince of Polotsk. Son. Converted. m Jadwiga. Became Wladyslaw V of Poland. Jogaila forces the principality of Polotsk to accept his loyal brother, Skirgaila, in favour of Andrei, whom he sees as a rival. 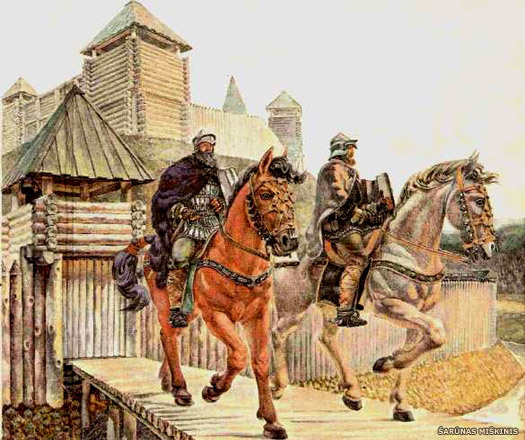 While Jogaila is away, attempting to reinforce his brother's rule in Polotsk, his uncle, Kestutis, removes him from the throne, triggering the Lithuanian Civil War (1381-1384). Jogaila manages to win back control over the country. Brother of Algirdas. Ruler of Samogitia. Restored. Accepted Christianity. Also king of Poland (1386-1434). The Union of Kreva (Krewo) is agreed by Jogaila as the only certain way to halt the crusading attacks by Poland, the Teutonic Knights and Moscow. The union includes the throne of Poland in return for the Catholic Christianisation of the Lithuanians, and in 1386 Jogaila becomes king of Poland under the name Wladyslaw Jagiello. 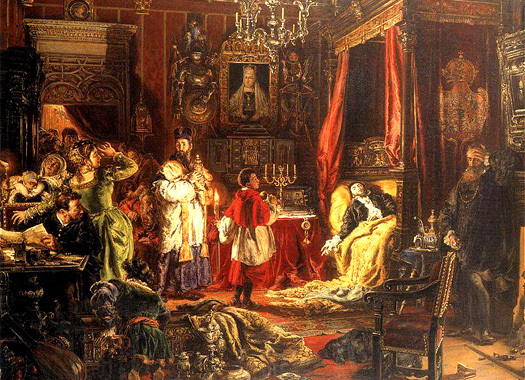 The Orthodox, Rus, nobles in the country are reduced to second class status as the Catholic nobles (or boyars) gain the best positions, but as Lithuania finds itself part of Poland and ruled in part by Poles, even the Catholic nobles are not pleased with the situation. With Jogaila's conversion to Christianity, Lithuania becomes the last state in Europe to end its pre-Christian paganism (although the Lithuanian Zemaitija - the Samogitians - are not converted until after 1410). As he is now king of a far larger domain than just Lithuania, Jogaila appoints governors to handle Lithuania's day-to-day affairs, but unhappy with the situation one of them, Vytautas, is supported by the nobles in his fight for power. In the same year Jogaila attacks Polotsk to the east and the Livonian Knights do not protect it, virtually gifting it to its attackers. Governor of Samogitia for Jogaila. Governor in Lithuania for Jogaila. Governor of Samogitia for Jogaila. Became grand duke in 1401. The principality of Polotsk is abolished and becomes an administrative division of Lithuania, known as the Polotsk Voivodeship. The duchy of Samogitia is briefly conquered by the Teutonic Knights, before being recovered by Lithuania. Son of Kestutis. 'Regent' (1392-1401), then grand duke. Lithuania and Poland defeat the Teutonic Knights at Tannenberg, becoming dominant for a time over Eastern Europe. Under Vytautas, Lithuania reaches the height of its territorial expansion, the equivalent size of fifteen modern Lithuanias, by taking Smolensk. Jalal ad Din, son of the powerful Toqtamish Khan who had reunified the Golden Horde, has been in exile for some years. He has taken part in the Battle of Tannenberg alongside the Lithuanians, and it is with Lithuanian support that he is now able to overthrow Temur Khan and regain his rightful place as ruler of the Golden Horde. Unfortunately, after a brief reign in which he writes a history of the Mongol empire, he is murdered by his brother, Karim Berdi. The Teutonic Knights officially cede Samogitia to Lithuania under the terms of the Treaty of Melno. In the same year, Vytautas accepts an offer by the Hussites to take the crown of Bohemia, and sends his deputy, Zygmunt Koribut, there. By now he has already raided the Rus, and subordinated Novgorod and Pskov, and even Moscow comes under Lithuania's influence in 1425. Vytautas is also acknowledged by the khans of Tatar. At the assembly of eastern and central European leaders, held in Lutsk (now in Ukraine but at this time part of Lithuania), Holy Roman Emperor Sigismund von Luxembourg offers Lithuania a crown. In 1430, protests are made by the Polish Royal Council in their efforts to deny Lithuania crown status. Poland refuses passage to the emperor's envoys and their offering of a crown to Lithuania. The coronation of Vytautas in Vilnius fails. On 27 October, Vytautas dies (or is killed). 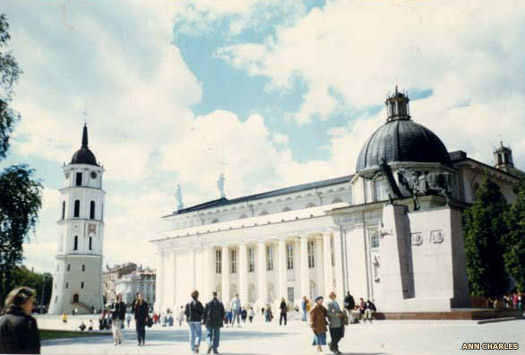 His remains are entombed in Vilnius Cathedral (then known as St Stanislaus' Church). Jogaila grants the title of great prince of Lithuania to his brother, Swidrygiello. Swidrygiello attempts to implement Vytautas' goal of achieving a coronation. However, he is forcibly removed from power due to the efforts of Polish politicians. Brother of Vytautas. Murdered by conspirators. Zygmunt has strengthened his position by granting personal immunity to the nobles of the state, including those in the lands of Rus. Now he crushes the opposition forces of Swidrygiello and his ally, the Livonian Knights. This proves to be the last invasion into Lithuania to be carried out by the Knights. Son of Jogaila. Also king of Poland (1446-1492). Grand Duke Casimir gains the throne of Poland and becomes Casimir IV, king of Poland, as well as retaining command of the grand duchy. The union of two thrones is renewed on a personal basis (except between 1492-1501). Firstly due to Casimir's age, and then due to his responsibilities in Poland, real power in Lithuania is concentrated in the hands of the most powerful nobles, the 'Pans' Rada' or Council of Masters ('pans' is 'master' or 'mister' in Polish and Czech, a title of nobility at the time, while 'rada' means council). Their power grows steadily. The Jagiello dynasty gains control of Bohemia in the form of Ladislas II. His successor is a member of the same dynasty. In alliance with the khans of the Crimea, Moscow's Ivan III refuses tribute to the Great Horde. The latter, now allied to Lithuania, attempts an invasion of Moscow's territory but this fails. The independence of Moscow is confirmed. Son. Also king of Poland (1501-1506) upon his brother's death. The Lithuanian state is forced to begin its defensive wars against the grand duchy of Moscow when the latter begins to lay claim to the Russian lands within the grand duchy. However, the Rus population remains loyal to Lithuania and Moscow's efforts are resisted. 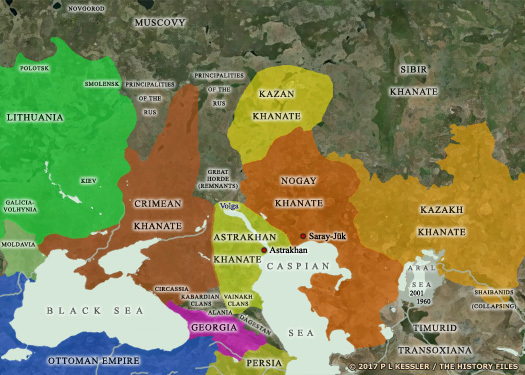 To the south the khanate of Crimea sometimes raids across the border to collect slaves - a thriving industry amongst the khanates. Brother. Also king of Poland. 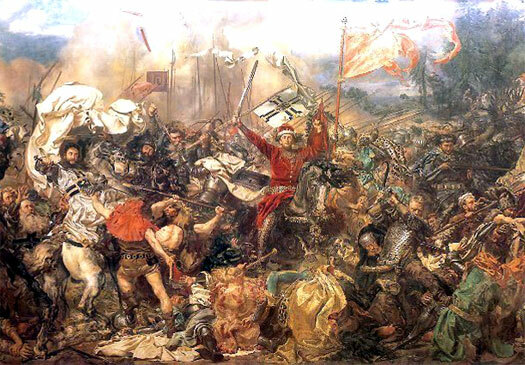 Sigismund takes Smolensk and smashes the Moscow army near Orsha the following year. Following a devastating defeat at the Battle of Mohács and the death of Louis, the Jagiello dynasty loses Hungary and Bohemia to the Habsburgs. The defeat effectively destroys the dynasty's dream of effecting the 'Jaigello dynasty idea' wherein Lithuania, Poland, Bohemia, and Hungary are drawn together in union. The dream lives on in a more modest form for some years but is never realised. The first Lithuanian Statute is drawn up. The state system, governmental and administrative organs, and the status of the privileged nobility are legally formulated by virtue of the Statute. Son. King of Poland (1548-1572) & grand duke of Livonia (1566). Having until now been fulfilling the role of grand duke of Lithuania alone, upon his father's death, Sigismund II assumes the crown of Poland. He is the last to hold the crown in personal union, with the more formal commonwealth being initiated by his successor. Following Russian provocation and the conquest of Dorpat, the Livonian Wars erupt in the Baltic States in 1558. The Livonian Knights and the archbishop of Riga seek help from Sigismund II, pawning five Order castles and two archbishopric castles together with their surrounding territory to help procure it. However, the army of the Livonian Knights is completely destroyed by the Russians at the Battle of Ergeme in 1560, and a year later, on 29 November 1561, the master of the Order, Gotthard Kettler, acknowledges the supreme power of Grand Duke Sigismund over all areas regarding the Order, including its territories, formally dissolving the Livonian Knights. By means of this, Lithuania gains Livonia and the archbishopric of Riga, along with the bishopric of Courland from the Danes. The territory of the Semigallians is joined to Courland to form a vassal duchy. From the early sixteenth century, Lithuania had begun to lose her eastern provinces on the upper Volga, Oka, and Donets, to the Russians. The growing threat from Moscow forces Lithuania to conclude a political treaty with Poland in 1569 and cede her Ukrainian lands to Poland. The Union of Poland-Lithuania, Ruthenia, Livonia, Polotsk, and Samogitia is effected, establishing the Commonwealth of Poland. Sigismund becomes king of a united Poland-Lithuania. From this point on, Lithuania's fate is tied to that of Poland until the joint kingdoms are extinguished in 1795 and Lithuania is taken entirely by the Russian empire. The Third Partition of the Polish-Lithuanian commonwealth in 1795 brought about the total disappearance of the Lithuanian state, although Russia had already taken chunks of Lithuanian territory in the first two partitions of 1772 and 1793. For the next two centuries, the country remained a province within the mighty Russian empire until its dissolution towards the end of the First World War. Until then it was controlled by local governors. 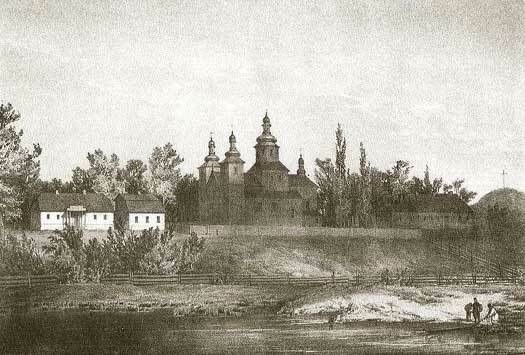 Sometimes known as the Vilnа Governorate between 1801-1840, it was controlled from Vilnius. From 1791, Russia began to administer an area known as the Pale of Settlement. Initially this was small, but it increased greatly from 1793 and the Second Partition of the former commonwealth. By the mid-nineteenth century it incorporated modern Belarus (eastern Poland at the time), eastern Latvia, Lithuania, the province of Bessarabia (modern Moldova), and western Ukraine. Having formerly been citizens of the defunct commonwealth, the Jewish population of the 'Pale' was restricted from moving eastwards into Russia proper. Napoleon invades the Russian empire with one of the largest armies Europe has ever seen, occupying the Baltic States for several months until he is forced to drag his French-led army back to Germany. Russian control of Lithuania is immediately restored. As the Lithuanians welcomed Napoleon as a liberator, any thoughts of a relaxation of controls are replaced by a policy of Russification. 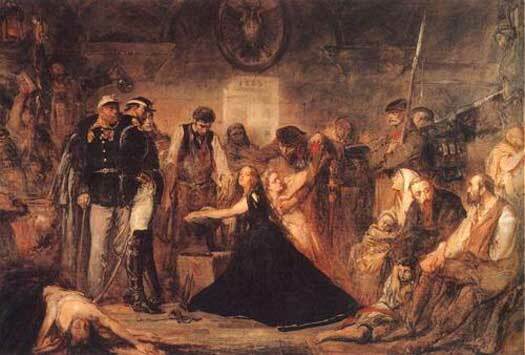 Following the 1863-1865 January Uprising across Poland, Lithuania, the Baltic Provinces, Latgallia, and Livonia, the Lithuanian language and the use of a Latin alphabet are banned in junior schools. However, the smuggling of Lithuanian-language books into the country is widespread. The position of governor in Lithuania is vacant. Russian First World War defeats of 1916 and 1917 leave the empire in chaos and bring the Baltic States under German imperial control. Lithuania is the largest of the Baltic States, nestling on the eastern shore of the Baltic Sea in northern Europe. Independent of Soviet Union occupation since 1990, it and its neighbours have proven themselves to be some of the better former Eastern Bloc countries in terms of their economic performance and standard of life, although problems do still exist. Lithuania is neighboured to the north by Latvia, to the east and south by Belarus (making it the only one of the Baltic States not to have a border with Russia), to the south-west by Poland, and to the west by Kaliningrad and - across the Baltic Sea - by Sweden. Lithuania, along with much of modern Latvia, westernmost Russia, northern Belarus, north-eastern Poland, and all of Kaliningrad formed the core territory of the Balts when they migrated into the region some time around 2,500 BC. Since then the fortunes of the Balts fluctuated, although they remained independent and unconquered until the coming of the German crusaders in the eleventh and twelfth centuries AD. Despite valiant and sometimes suicidal resistance, the Balts were generally subjugated by a Baltic-German aristocracy which continued to wield great influence even during Russian imperial rule. Only the grand duchy of Lithuania stood free, but its own failing fortunes forced it to unite with Poland to form the Polish-Lithuanian commonwealth. Even that faded, however, and by the end of the eighteenth century the Baltics were being occupied by Russia. Russian First World War defeats of 1916 and 1917 brought the Baltic States under German imperial control. In 1917, Bolshevik-inspired thoughts of revolution were swiftly put down by the Germans, as were thoughts of independence. Lithuanians elected a German nobleman by the name of Wilhelm of Urach, a member of the royal house of Württemberg, as their king in the hope that this would bring about a form of independence. Instead, Germany's collapse in 1918 brought about the creation of a Lithuanian republic, with any level of German control now being rejected throughout the Baltics. A century and-a-quarter of foreign rule had ended, but Lithuania and Latvia together now covered the smallest ethnographic territory to which the Baltic-speaking people had ever been reduced. Wilhelm of Urach. Rejected and never crowned. The brutal conflict of the First World War fades out with imperial Germany collapsing amid unrest and the abdication of the kaiser. After briefly considering a German king, Lithuania now takes the opportunity to ditch any kind of rule by the German aristocracy and instead forms a republic, with the country's act of independence being signed on 16 February 1918. The Russo-Polish War is ignited between Poland and Ukraine on one side and Soviet Russia on the other over the creation of the Second Polish Republic and the somewhat uncertain borders on its eastern flank. Polish Chief of State Józef Piłsudski considers this the best opportunity to restore Poland to its former greatness (meaning the regaining of at least part of the vast territory of the Polish-Lithuanian commonwealth), and he leads his troops into both Vilnius (part of the fairly brief Polish-Lithuanian War) and Kiev. The Polish-Lithuanian War is briefly fought over the control of Vilnius. With Poland the victor, the short-lived 'Republic of Central Lithuania' is formed (later to be transformed into a Polish voivodeship). Red Army pressure causes the Poles to fall back temporarily, but Józef Piłsudski leads his forces to a notable victory against the Soviet Union at the Battle of Warsaw. As the Poles again advance, a ceasefire is agreed with the Soviets in October 1920 and Vilnius is regained (to be held until 1939). 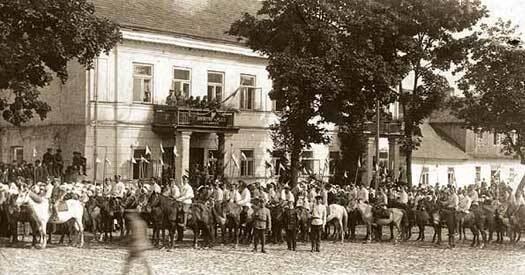 The Peace of Riga is signed on 18 March 1921, which formally divides disputed territory between the Soviets and Poles, and which states that the easternmost parts of Lithuania remain part of Poland, including Vilnius. Although the country is occupied by Soviet forces as agreed under the Molotov-Ribbentrop Pact in 1940, the German army swiftly occupies Lithuania until 1944. The country's populace is forced to rely on its strong Catholic traditions and memories of independence to survive this and the next occupation. The Soviet army repels the German forces and re-establishes control in Lithuania. At the same time, the country regains Vilnius and the easternmost territories, which had been lost to Poland in 1919. Lithuanian society and industry are modelled along Soviet lines and absolute control rests with the Soviet Communist Party. The United Kingdom and most other western countries never recognise de jure the Baltic States' incorporation into the USSR. Remaining defiant against Soviet rule and given a level of freedom by the Perestroika reforms of the Soviet Union, Lithuanians take part in a growing movement of passive resistance which culminates on 23 August 1989 with a major section of the country's population holding hands in an unbroken chain which connects to similar chains in Estonia and Latvia. In the same year, the Supreme Soviet of the USSR adopts a resolution on the 'Occupation of the Baltic States', in which it declares that the occupation had been 'not in accordance with law', and not the 'will of the Soviet people'. On 11 March 1990, Lithuania becomes the first Soviet republic to declare its renewed independence. The following year the declaration becomes fact as Poland, Lithuania and Belarus finally regain independence with the fall of the Soviet Union. Former East Prussia, renamed Kaliningrad, remains directly part of Russia, and is now an isolated coastal enclave wedged between Poland and Lithuania. The Lithuanian people are very much in favour of joining the European Union, as they demonstrate in May 2003, when sixty-four percent of the population turns out to vote. An incredible ninety-one percent of those vote in favour of membership. In 2004 Lithuania becomes a member both of the European Union and of Nato, two important events in the country's modern history. On the other hand, internal politics does not fare so well, with the incumbent president being impeached for violating the nation's constitution as well as his presidential oath. In November the title 'European of the Year' is awarded to the Lithuanian president - no small achievement. In December the country joins the Schengen zone which permits travel to and from the other Schengen countries without any border restrictions. Also in December, the Lithuanian Television and Radio Commission places a ban on any broadcasting of the ratio station, the Voice of Russia.